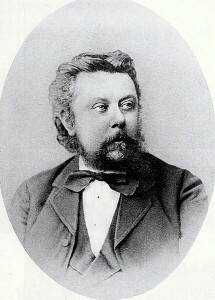 Mussorgsky is the composer of the “Pictures at an Exhibition” suite. It’s a musical illustration of a series of pictures drawn and painted by artist Viktor Hartmann over many years. Each movement in the suite is based on one picture or moving around the imagined gallery. Many of you might actually be familiar with at least one of the themes in the suite – “Promenade” – have a listen here and see if you recognise the opening phrase. For example, as I sit in my living room, there are photos of our children as babies and a glass-fronted box containing their first pairs of shoes, a photo of the extended family, a multi-photo frame of my wife and I and our kids at various ages in different places, a beautiful bookcase hand-made by my wife’s grandfather, a watercolour from my mother-in-law, and two cabinets where, amongst the items, there are things made by our children as they grew on display. However, in contrast to what we as humans like to do with our external environment, we often do something very different in our own internal world. The pictures we keep in our own private exhibition often contain the very things we’d never, ever put on display for all to see but we keep them there and dwell on them nonetheless. But surely, you might argue, we should remember those kind of things as a reminder not to let it happen again. And while there’s a grain of truth in that sentiment, the problem is not that we have those pictures in our exhibition, it’s what we do with them that makes the difference. The worst thing we can do is to dwell on the events themselves as I’m sure you’ll realise – focusing on the event makes us relive the negative emotions from that time – guilt, fear, sadness, anger, bitterness, shame – all those things that should be behind us. What usually follows then is a string of self-critical thoughts and feelings that bring us even further down. However, this leads us neatly to Richard Hammond’s racing helmet. I’m referring specifically to the helmet he was wearing during his horrific crash in 2006 whilst driving a jet-propelled car. During a recent episode of “Miracles of Nature”, he pointed it out as it sat on a shelf in his garage. It would be easy for him to focus on the events of the crash itself, that he should’ve noticed the front tyre beginning to shred, that he could’ve died, and his long and tough recovery over the many months that followed. But it was obvious from what he said about it that he keeps the helmet around not for that negative purpose, but to remind him of something much more positive – that he’s alive and to be grateful for that fact and make use of the extra time he now has. Just think about that for a moment and cogitate on the big difference that comes from rewriting the simplest phrase there: “I could’ve died” becomes “I’m alive.” This is fantastic proof that it’s not what you remember that counts, it’s what you *do now* with what you remember that matters most. Imagine there is a gallery or museum exhibition of your life, an honest one that covers every event, good and bad, with pictures, photos, sound clips, videos, and interactive elements too. Now imagine taking a tour of it, before it’s open to the general public. You don’t get to change what’s there, but you do get to decide what the tour guide or audio commentary says about each one, or what’s written on the plaque next to each exhibit. Remember to include every one of the positive, uplifting or otherwise great times in your life, and make sure they’re well lit, prominent and easy to get to. Now, for each of the exhibits about the trickier times in your life, perhaps those you really didn’t want shown, take time to focus on what you can take forward from that event, what you learned from it instead of just the event itself. However, make sure you phrase it positively, e.g. instead of “I learned that people can’t be trusted” which I’m sure you’ll agree is wholly negative and limiting, you could say “I learned to be more cautious before committing to a relationship” which is a more forward looking and empowering view. Once you’ve done this, take a tour again of the whole exhibition – remember you can stop at the gallery café for a break if you need to – and notice how much more positive the exhibition feels and what it’s beginning to do deeper inside. Return to your gallery regularly and tweak your exhibit’s plaques and commentaries until you get the perfect tour. Oh, and remember to continue to extend it every time you have a success, and every time you learn something new too. After all, the purpose of any trip to the museum or gallery is to leave you feeling that it was worthwhile, that you’ve had a good time, perhaps been challenged or learned something new. So make sure when you tour the gallery of your life, that’s what you come away with.